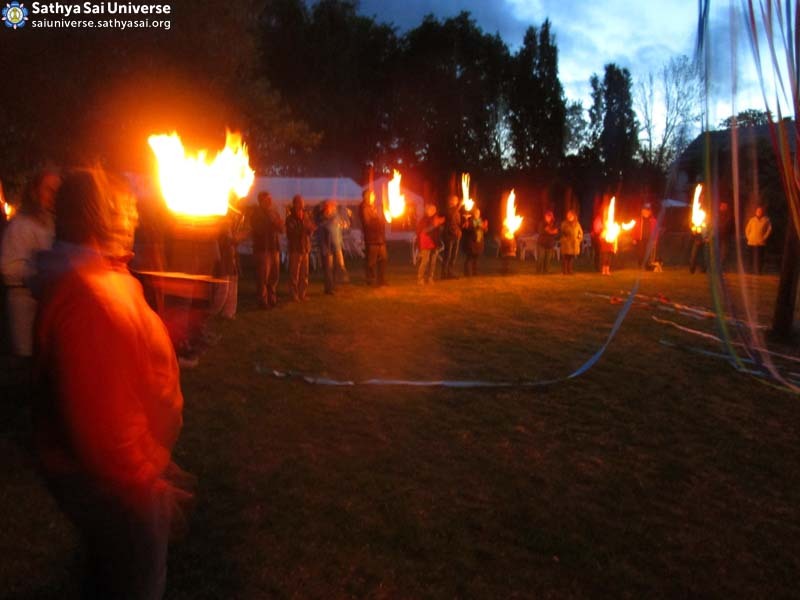 The Whitsun Meeting, coinciding with the Christian festival of Pentecost, started at a regional level more than 20 years ago and has now grown to a national annual festival. Held at Stemwede in northern Germany, this springtime event attracts Sathya Sai followers from all over Germany. In an interview in the 1990s, Swami was apprised of this location in the countryside, and He blessed it as a meeting place for spiritual aspirants. 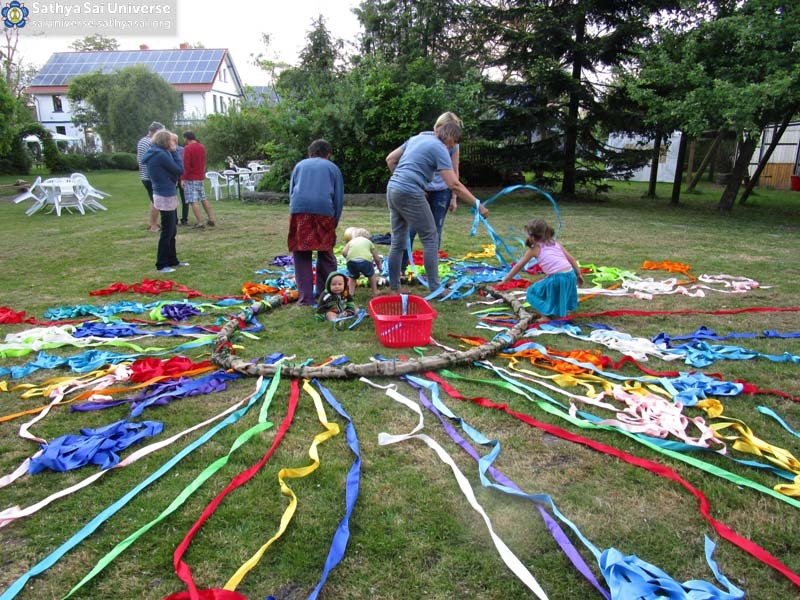 This year, 86 people attended the three-day-festival, from 13th to 16th May 2016, under the theme, “Peace in me – Peace in you – Peace in the world.” A huge, colourfully decorated maypole formed a centrepiece for all the activities. Each day started with scriptural recitations and devotional singing inside a prayer hall, after which numerous activities took place throughout the day. In the evening, the lively glow of a bonfire and melodious and soothing music filled the air. The highlight of the event was a discussion on peace, wherein participants shared personal experiences about finding peace in their lives.